The hair in these brushes are like the soft, colorful notes of a guitar played with the thumb and fingertips. 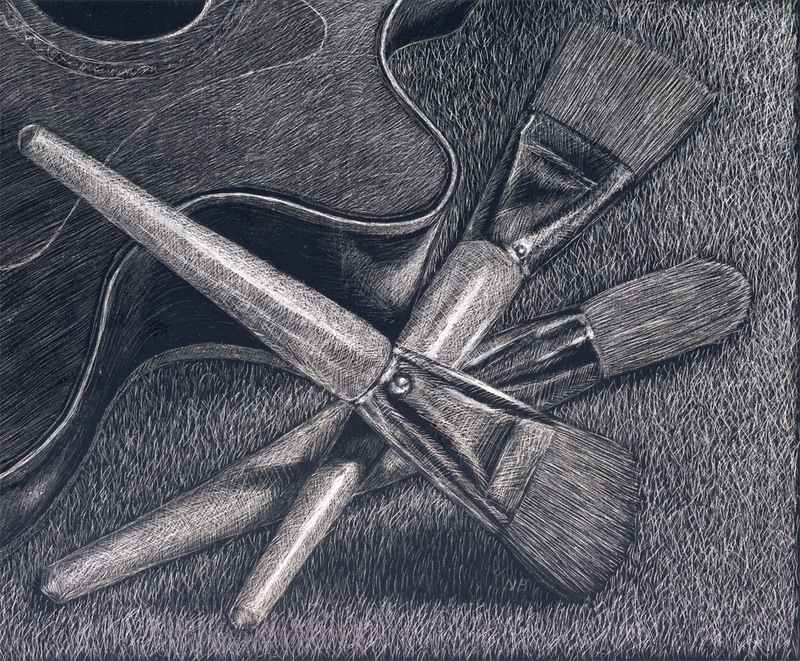 Another scratchboard still life, this one on an 8" x 10" Ampersand smooth finish panel, painted with india ink and spray fixative. The tool of choice was the point of an X-acto knife, which created very fine lines.